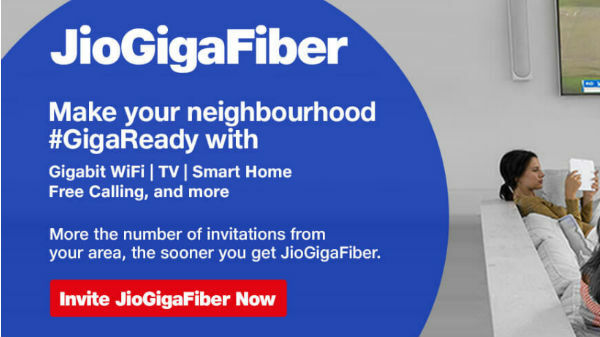 Here's how you can register for Jio GigaFiber FTTH broadband connection online. 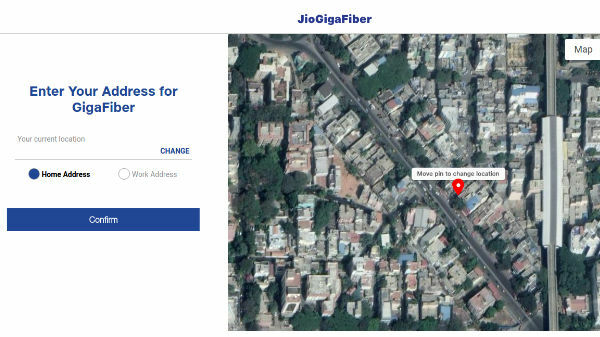 Jio announced its GigaFiber broadband service a couple of months back and the company has also made the website accessible for registration. Let us tell you that the registration process depends upon the coverage area. So here are the eligible cover cities from which you can register for the GigaFiber connection. 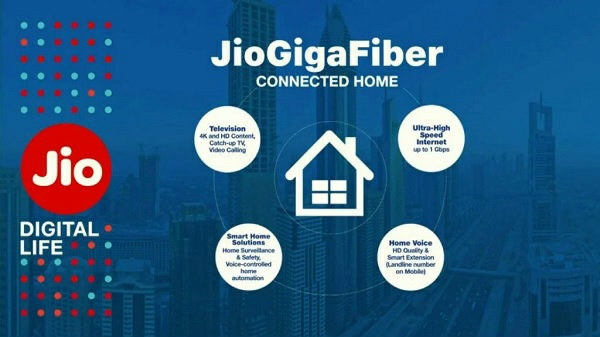 If you are in the above-mentioned cities then you are eligible for applying for the registration process of Jio GigaFiber broadband connection. If you are interested in the connection then you can register for it online and here are the simple steps from which you can apply for the service. 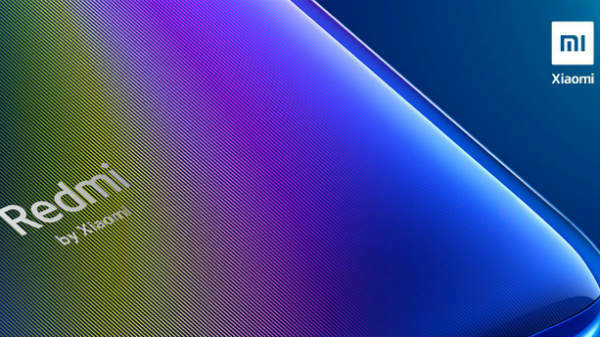 The very first thing you need to do is to head to Jio's official website www.jio.com. 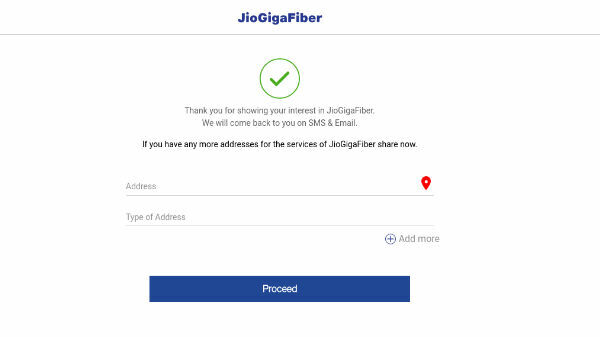 There you can see a banner JioGigaFiber, you need to click on "Invite JioGigaFiber Now" under the banner which will open a registration window. In this window, you have to enter the location where you want the broadband connection. There is a map also which will help you in placing the correct address. Once you are done with the address you need to click the "Confirm" button. After clicking the confirm button, you will be directed to another window where you have to fill your details like Full Name, Mobile Number, and Email ID. After filling the form you need to click on Generate OTP. After that, you will set an OTP on the number which you have entered in the form. 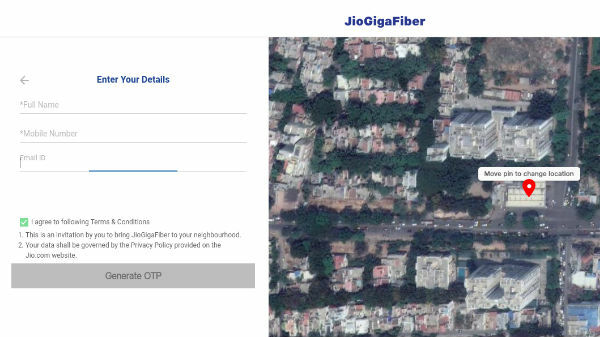 You have to enter the OTP and click on "Verify OTP" this will lead you to a window which reads "Thank you for showing your interest in JioGigaFiber. We will come back to you on SMS & Email." Now you have to enter your address once again and Type of Address. So you can choose from Home address, Work address, Parent's address, Relative's address and other. Once you are done filling the form you have to click proceed, and you are all set to go.